In the bay of Staphylos village, Professor N. Platon in 1936 after excavations in the area, he discovered a Minoan pit tomb which proved that it belonged to king Staphylos. This finding is considered one of the most important art specimens in the Mycenaean and Minoan period. In the excavation they discovered his sword, the handle which was coated in gold leaf with a length of 32 cm, and other precious Cretomycenaean findings that decorate the Archaeological Museum of Athens. This archeological achievement proved particularly important, since at this point they found evidence that justify the habitation of the island during the Mycenaean era. 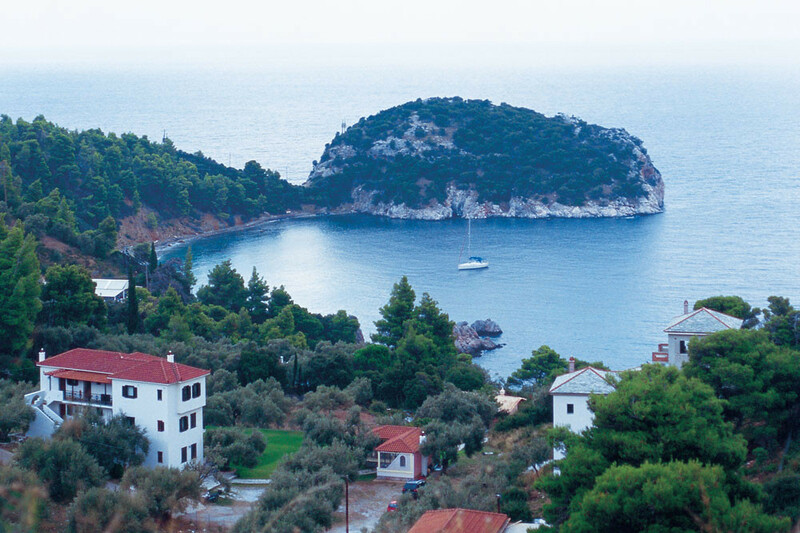 The soil of the area often becomes the field of findings of individual archaeological objects demonstrating the strong productive activities of the residents of Peparithos.